Feature cars help spice up a magazine. They provide that little extra kick that ties all of the flavors together. Think of them as that pinch of cilantro that turns beans, rice and a tortilla into a tasty burrito. Our silver anniversary celebration has almost come to a close, but really this fanfare is about you, not us. 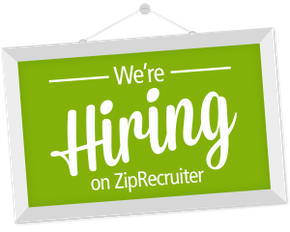 If it weren’t for you, we wouldn’t have much of a reason to come to work every morning. And if it weren’t for the cool cars that you have built through the years, we’d have a little less to write about. That’s where this story comes in. We’ve been including feature cars in our pages since that first issue rolled out of the printer a quarter of a century ago. While there’s no concrete definition of a feature car, the subject needs to be special in some way. It can define a scene, be a championship contender, or show how adversity shouldn’t be a deterrent. Whatever the reason, the car should do more than just entertain; it should inspire. A feature car also needs to have some staying power. It shouldn’t merely represent the latest trend or be a flash in the pan. Here are 25 of our favorite feature cars, and we think you’ll agree that they still make a nice collection. Bryan Feldman’s 1971 Datsun 510 has aged well, as the look is still totally fashionable today. This Datsun was more than a pretty face: Power came from a 280ZX inline six fed by a Turbo Tom turbocharger setup and backed by a five-speed box. Bryan has since built other Datsuns—including ones powered by rotaries and twin-turbo V6s—and his latest creation can be viewed online at bryanf.com. Yes, it’s another 510. Big-block Corvettes are fast in a straight line, but they tend to have a reputation for poor handling. 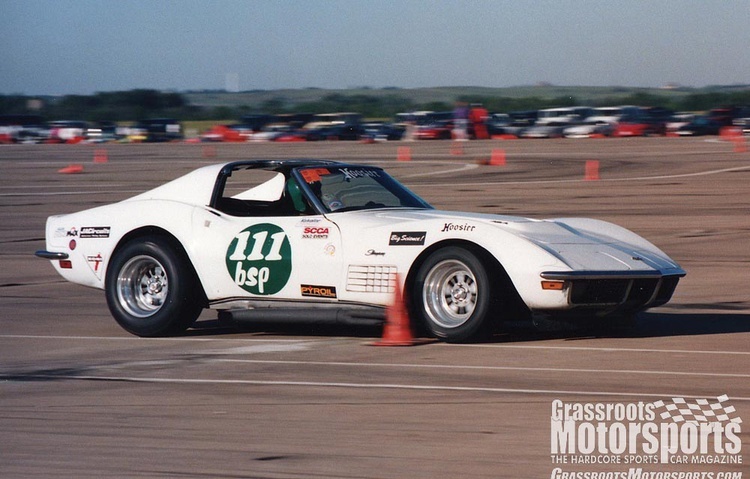 Bruce and Mary Wentzel have dispelled that myth, as their 454-cubic-inch 1971 Vette was dominant on the national autocross scene throughout the ’80s and ’90s. We haven’t seen the Corvette in a while, but the Wentzels still regularly show up at the SCCA Solo Nationals—this past fall they co-drove a 1979 Camaro. 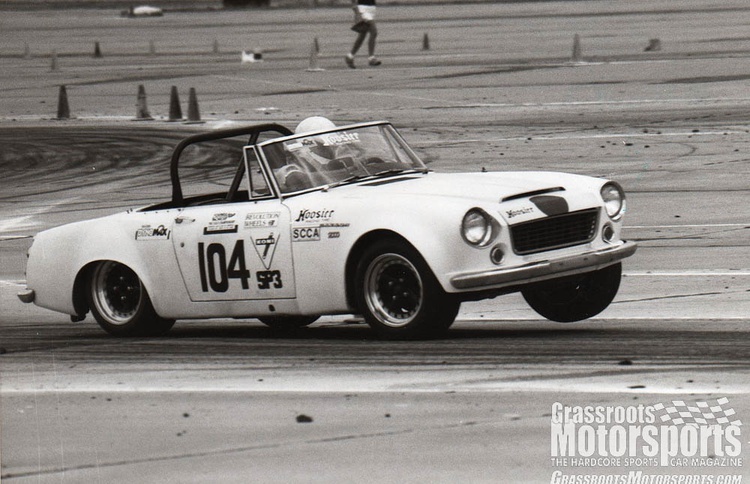 During the latter part of the ’80s, brothers Bill and Elliot Harvey were nearly unstoppable in their 1967 Datsun 2000. The duo claimed several Solo titles, including the 1987 Solo Driver of the Year award. Adding insult to injury, their car didn’t look like much of a threat. 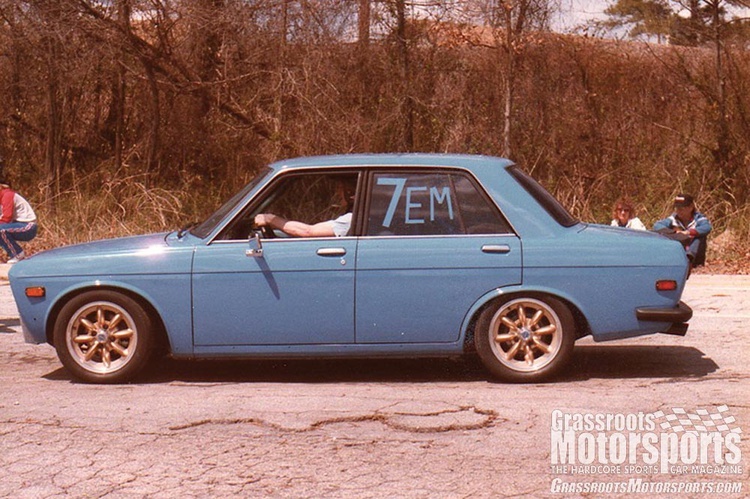 Thanks to limited visible modifications, faded paint and, on some occasions, mismatched tires and wheels, this Datsun was perhaps the ultimate autocross sleeper. Bill, the car’s owner, would share few details—he even declined to be interviewed for our feature on the car. 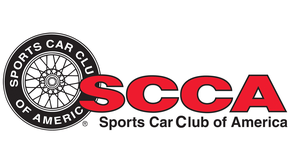 A small postscript: The car is back, and it finished second at this year’s SCCA Dixie National Tour. 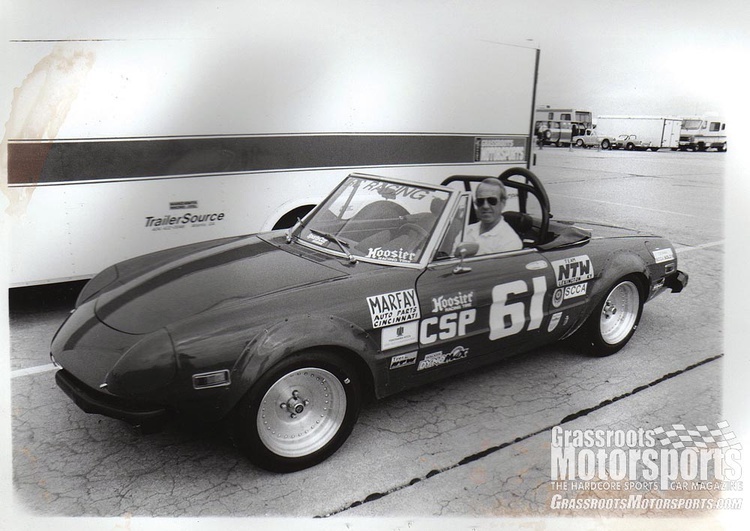 After claiming several SCCA national autocross titles in the mid-’80s, Fiat X1/9 pilot Chuck Sample decided to build a new car for the Prepared ranks. A national title was the goal, and he started with a 1974 chassis that had already been prepared for road racing. Chuck specified a staggering 10,500 rpm redline for his Fiat’s engine. While there were a few teething problems, the car eventually propelled him to multiple Solo and ProSolo titles. George and Dee Schweikle aren’t exactly new to autocross—George started competing in 1958, while Dee followed a decade later. Through the years, these two have earned a reputation for simply being some of the nicest people in the paddock. They ran a stock Alfa Spider throughout the ’70s, but newer cars had rendered it uncompetitive by the mid-’80s. 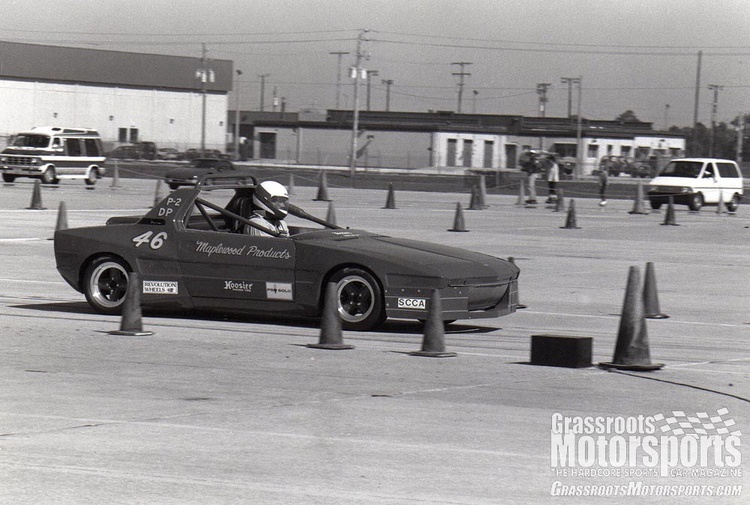 George and Dee responded with their Street Prepared 1976 Alfa Romeo Spider, and if you check the results from the most recent Tire Rack Solo Nationals, you’ll find that their effort is still going strong. 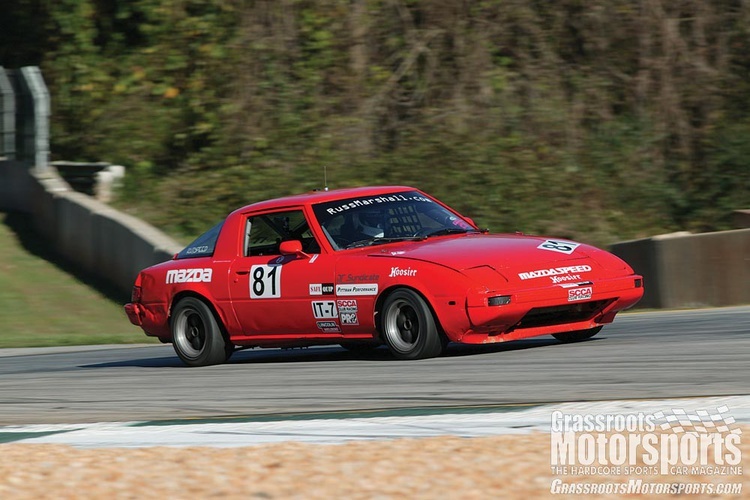 Thanks to a liberal rule structure, SCCA’s E Prepared autocross class tends to feature radical, lightweight compacts—fiberglass fenders, gutted interiors and full-race engines are the norm. 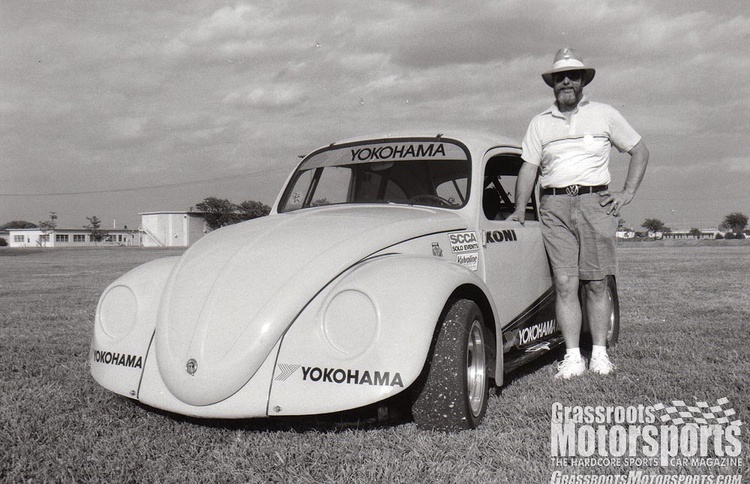 Bill Cadenhead decided to take on the status quo with his 1967 VW Beetle, and his 1992 ProSolo title shows that the decision had some merit. 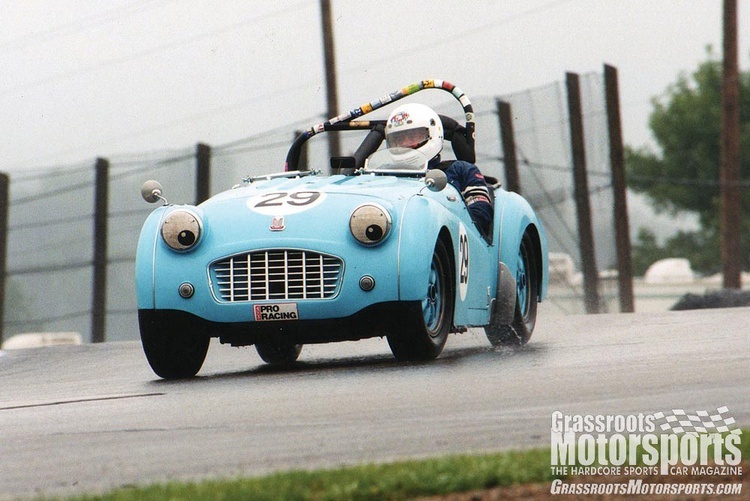 The Triumph TR3 has been a popular racer for more than half a century, and Bill Dentinger’s 1956 model stands out thanks to its clean preparation and liberal sprinkling of rare, period-correct modifications. He could have upgraded to newer equipment, but components like super-rare 10-inch Alfin rear drums and equally hard-to-find 5-inch-wide magnesium American Racing wheels gave Dentinger’s Triumph a certain correctness that’s hard to duplicate. 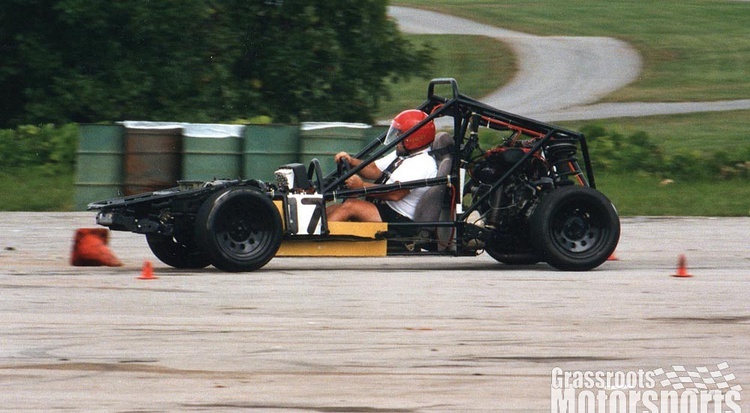 Jerry Hardt simply wanted a single-seat autocrosser, but the going prices for Formula Fords sent him to the drawing board. Jerry had a lot of experience with Pontiac Fieros, so he decided to go the DIY route. He built his own chassis and then grabbed everything else from his favorite donor car, including the entire V6 drivetrain, cooling system and brakes. Even the driver’s seat came from a Fiero. 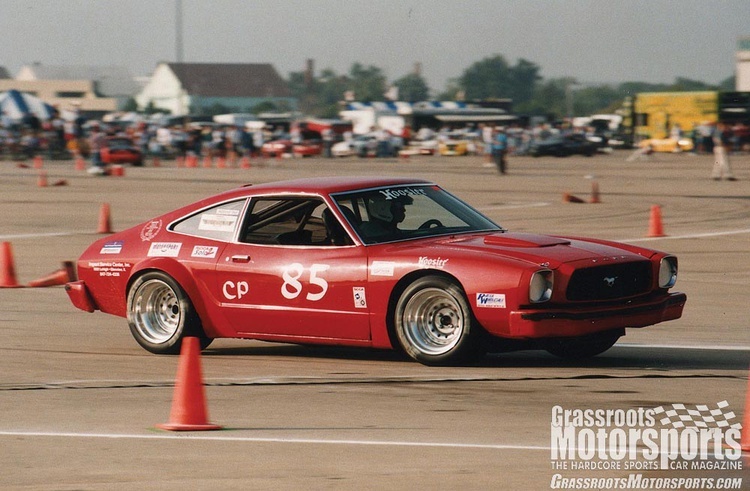 The Mustang II has to be the Rodney Dangerfield of the pony car world, yet Rick Ruth saw some promise: He bet that the Ford’s short wheelbase and narrow track would be advantageous in the C Prepared field. His Miniboss hasn’t yet won a national title, but Rick, his wife Joyce, and the car have been fixtures on the national Solo scene for a long, long time. Professional race cars are supposed to be low, sleek and light. Apparently Team Lexus never got that memo, as they campaigned a small fleet of GS 400 sedans in the Motorola Cup street stock endurance series during the first part of this decade. The Lexuses were unlike anything else on the field, tipping the scales at nearly 4000 pounds in race trim. They featured five-speed automatic gearboxes, power windows, and power tilt and telescopic steering wheels. They were fast, loud and different, just the way we like them. 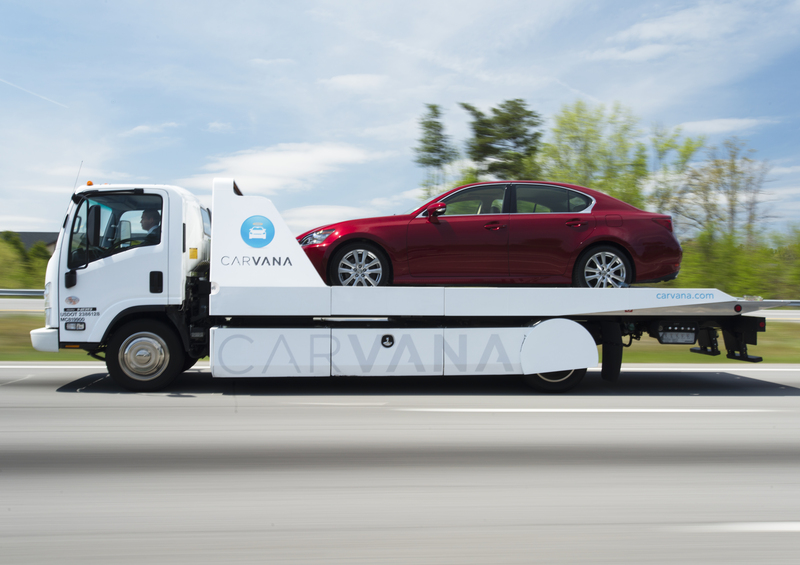 Some drivers jump from car to car, while others keep developing a trusted mount. Bimmer Haus Performance’s Bob and Patty Tunnell fall into the latter camp, as they have been constantly tweaking the same 1995 BMW M3 since it was new. 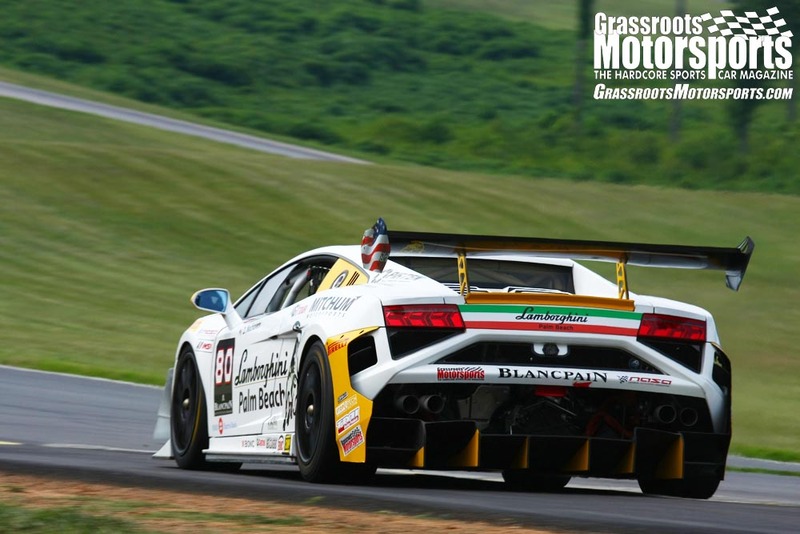 Along the way they have captured 10 SCCA Solo National titles in Stock through Prepared classes in this car, as well as six ProSolo class championships. 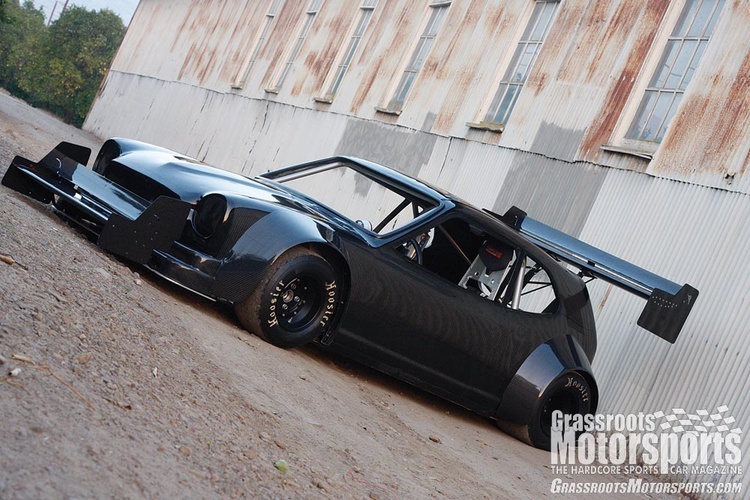 The recent addition of a Conforti-tuned Eurosport supercharger has the duo setting their sights on an E Modified title. 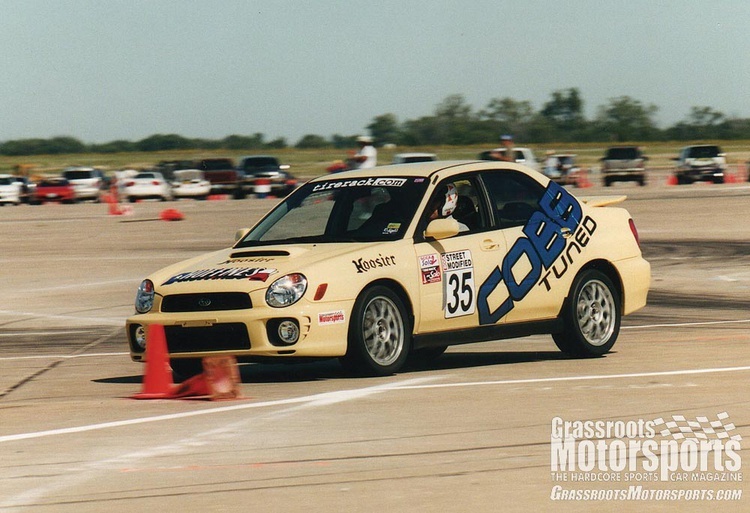 The Subaru Impreza WRX officially landed on our shores during the spring of 2001, and Cobb Tuning didn’t waste any time prepping the new car for autocross competition. The shop entered one in that fall’s Tire Rack Solo National Championships. They didn’t take the easy route and perform a Stock class build, as they went all the way with a Street Modified entry. The WRX couldn’t hold off the dominant rear-wheel-drive machines that year, but it showed that the WRX was going to be one of the decade’s success stories. 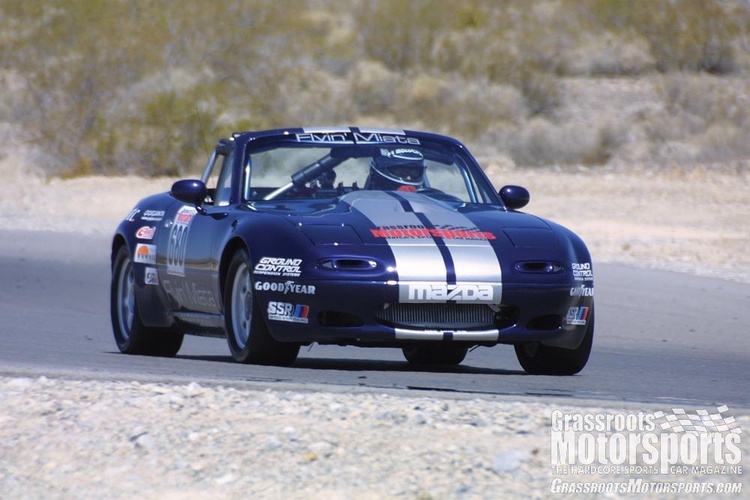 Bill Cardell and the Flyin’ Miata crew have a tough time understanding how to keep things low-key, and they arrived at the 2002 Open Track Challenge with Track Dog, their turbocharged 1990 Miata. The single Garrett T3/TO4E turbocharger helped Track Dog make more than 300 horsepower and 300 lb.-ft. of torque at the rear wheels, and Cardell figured that another hundred horsepower was possible with more boost. However, they decided to play it cool and concentrate on surviving the weeklong time trial event. Track Dog wagged its tail to a third-place finish in the Unlimited class. 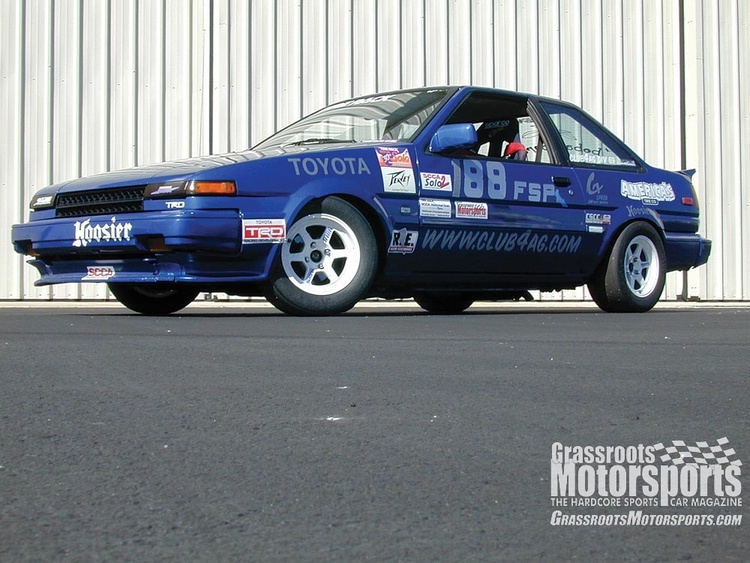 The AE86-chassis Toyota Corolla has become a legend in drift circles, but Taka Aono has shown that the car can be just as successful in national-level autocross: Taka and his girlfriend, Yoshie Shuyama, each claimed an F Street Prepared title at the 2002 Tire Rack Solo II National Championships. Where many competitors fret over every last technical detail, between runs Taka showed us that keeping it simple and concentrating on driving can pay big dividends. 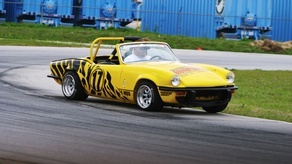 Like so many other enthusiasts, Lyonel Kent got his first taste of motorsports competition through autocross. His 1995 Honda Civic EX coupe wasn’t a ringer, but it helped him learn the ropes. He eventually decided to take the Civic on track. 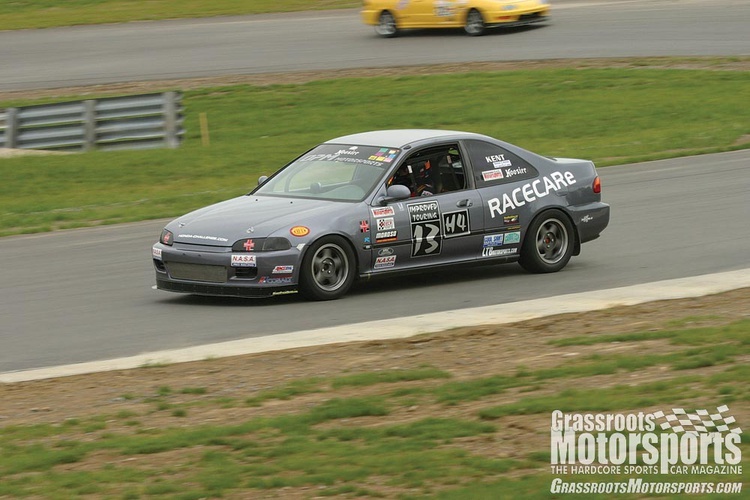 The SCCA Improved Touring rules didn’t accommodate the Civic too well, but NASA’s then-new East Coast Honda Challenge was the perfect venue for the car. Kent’s on-track success and friendly demeanor quickly separated him from the rest of the field. Sometimes it’s easy to take the path of least resistance; when something goes wrong, just throw in the towel and find something else to do. Russ Marshall did not take that route. His IT7-class 1979 Mazda RX-7 liked to crash and blow up, but Russ kept the faith. After a rocky start, he eventually had a championship contender on his hands. We love cars with attitude. We also like cars that feature some clever tricks. 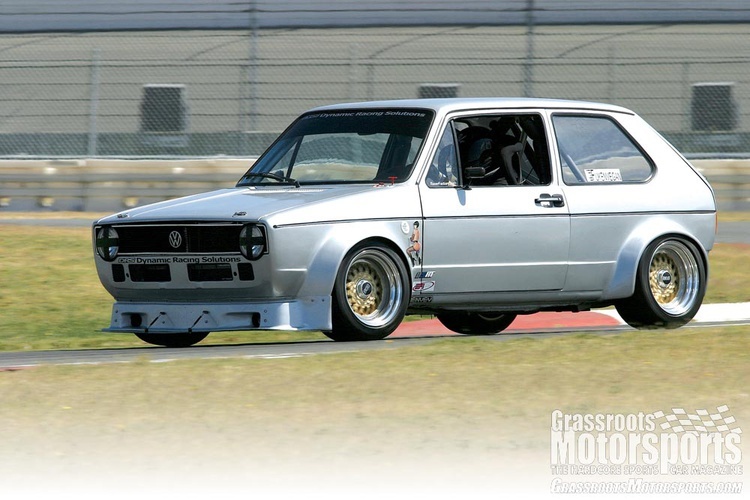 Jarod Legsdin’s 1978 VW Rabbit scores points in both departments, as this 1750-pound, high-winding track monster is just the kind of car we’d like to take home to Mom. Thanks to individual throttle bodies and a ton of internal work, the naturally aspirated 2.0-liter engine makes nearly 200 horsepower. Last we heard, Jarod was fixing to install a sequential transmission. 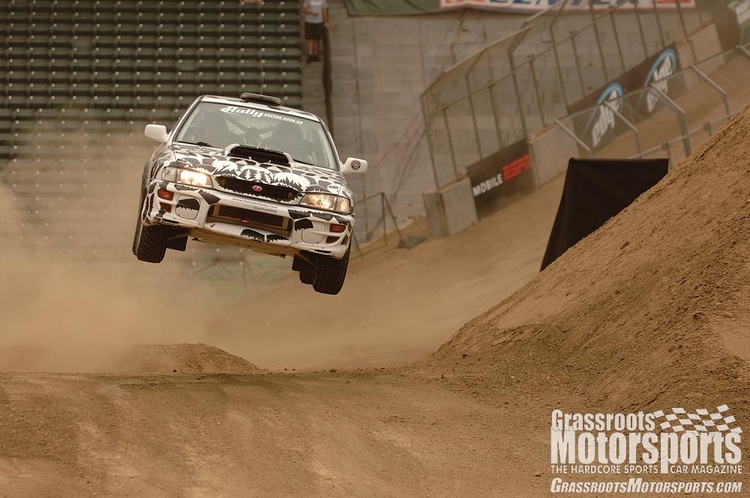 When Matt Iorio bought a Subaru Impreza WRX in 2001, he couldn’t even drive a stick shift. A year later, he was rallying—and quickly climbing through the ranks. By 2006, he was recognized as one of the scene’s best and received an invitation to the X Games. No, he didn’t take the big win, but he showed that a privateer with older equipment could finish within sight of the top dogs. A decade or so ago, Mazda rotary engines were being fit into just about everything; today, the inline four originally found inside the brand’s Miata has become a popular upgrade. 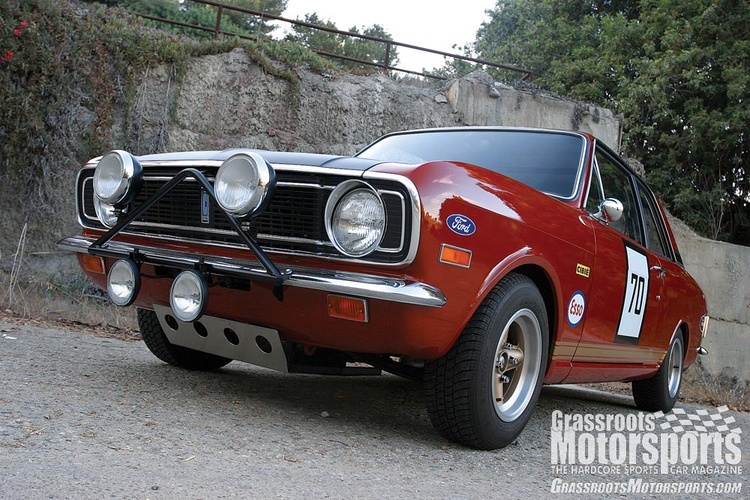 Mazda USA Technical Specialist Brett Stierli successfully merged old with new, as he perfectly fit a 2001 Miata engine into his rally-themed 1970 Ford Cortina. The American-market Lancer Evolution combines neck-snapping acceleration with muscular looks. Some stateside enthusiasts, however, are keen on the earlier, narrow-body cars that were never officially imported. Put Brian Fujita in that second group. 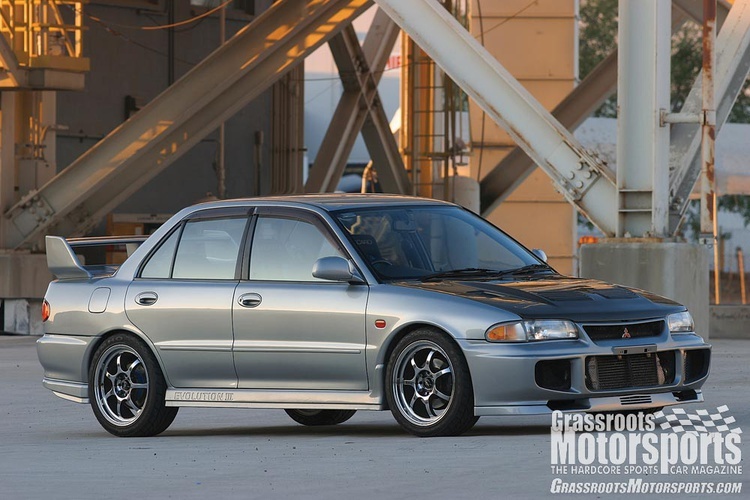 He imported his own dream car, a 1995 Mitsubishi Lancer Evolution III GSR. It’s not as fast as the latest models, but it combines classic looks with an extra helping of exclusivity. 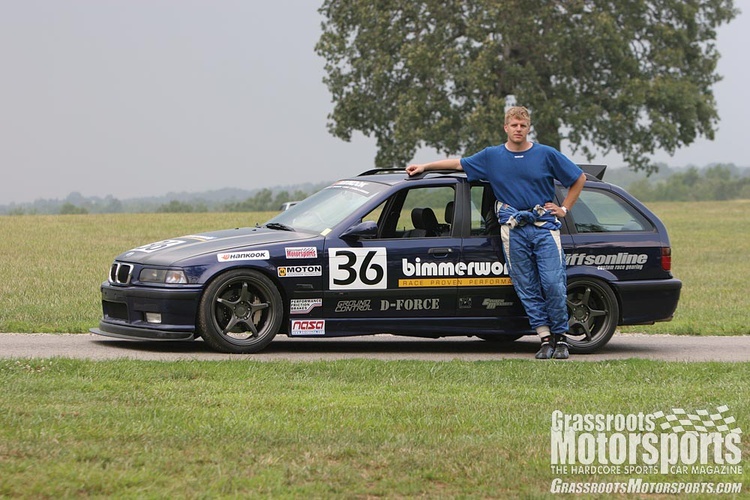 June 2008 We love wagons—and so does SCCA Speed World Challenge regular and BimmerWorld owner James Clay. He recently turned a Euro-spec 1995 320i Touring into a neat track toy by adding a boosted E36-chassis M3 engine and Ground Control race suspension. He figures it produces about 800 horsepower on race gas, and the car made its on-track debut during our 2007 Ultimate Track Car Challenge. The little roof spoiler was added the night before the event; Clay realized the rear end got light at 140 mph. Liz Miles didn’t get into cars because of an overbearing father, boyfriend or brother. It was an act of necessity: She bought a 1968 Chevy Camaro while in high school and quickly discovered that it needed constant upkeep. She polished her skills while earning an associate degree at WyoTech, and since graduating she has totally redone the Camaro. It now sports a hard-hitting, 500-horsepower small block plus a track-capable suspension. Since school regs prohibited students from painting a whole car, Liz found a different solution: After shaving the marker lights, antenna hole and gas cap, she shot the car with custom-tinted primer. When Dave Blum tired of chasing problems with his ex-IMSA Firehawk Mustang track car, he yanked off the good parts and started over with a new shell. 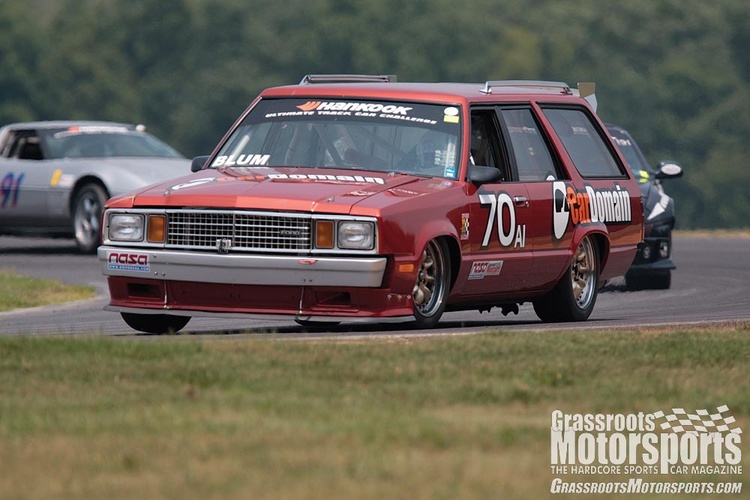 Dave went with something a little more utilitarian this time, basing his new NASA American Iron racer on a 1985 Ford LTD wagon—under the skin it uses the same Fox chassis found in countless Mustangs. Dave’s wagon didn’t take top honors at our 2007 Ultimate Track Challenge, but it probably turned the most heads. Mike Haviland was simply looking for the smallest production-based car that could be turned into a Modified-class autocrosser. The odd-looking, early-’70s Honda Z600 fit the bill for his bike-powered dreams. While rule changes have kept this tube-framed carbon-fiber creation from taking the Solo world by storm, the fabrication work has turned it into a rolling piece of art. Whether deserved or not, six-figure supercars have a reputation for spending more time sitting still than on track. 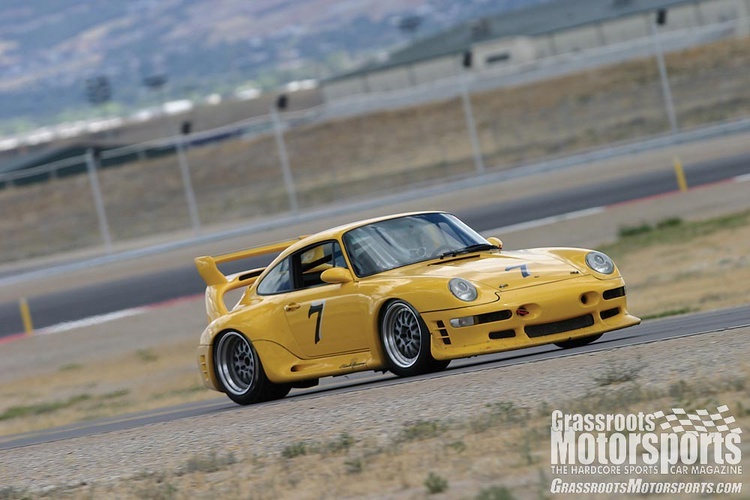 Steve Beddor’s Porsche 911-based 1997 Ruf CTR2 Sport certainly doesn’t fall into that class. The 700-horsepower, twin-turbo terror has blasted up Pikes Peak and diced with 962s at Daytona, all while wearing a valid license plate. Join Free Join our community to easily find more Alfa Romeo, BMW, Chevrolet, Datsun, Fiat, Ford, Honda, Lexus, Mazda, Mitsubishi, Porsche, Subaru, Toyota and Volkswagen articles. this is an incredibly cool piece and story idea hat tip on the awesomeness that encompasses the very root of GRM-ness at it's core. Well done chap! Know two of the list, and have even driven one of them. Been a long time since I had seen the green dot car, but it was the early 2000's (article was written in '87). George's Spider is a blast to drive. Very Miata like compared to my car. Jerry was a local club member and a nice guy. His car was huge and heavy, but it turned respectable times. Not sure if he still has it or not, but he always had a smile on his face driving it. captdownshift wrote: this is an incredibly cool piece and story idea *hat tip* on the awesomeness that encompasses the very root of GRM-ness at it's core. Well done chap! Thanks. That article is from the archives, but it was fun to do. Perhaps it's time to update that list. Thr ruths mustang two I remember when they lived in the milwakee region and raced it and it was always cool to see that. Never got to get ride in it though. How do we read one of the original articles for these cars? I did not have a subscription in 2008? Is it weird that I'm most intrigued by the GS400's? Currently own a 2000 LS400, and I know they're fairly potent for a large car, chassis wise. Had a 93 before, and believe it or not, once they take a set in a turn, their grip levels are surprisingly close to my Miata on the same tires. Nowhere near as agile, but still, much more grip and handling capability than they have any right to claim. Does Dettinger still have the slow moving sign on it?